A straightforward guide for those searching for a personal faith in God. ‘An evangelistic classic . . . meticulously biblical’ (Grace Magazine). 128pp. An incisive, historical and theological insight into the great 19th-century Baptist and the doctrines which moulded his life and thought. 288pp. A scheme for reading the whole Bible—and the New Testament and Psalms twice—in a year. Leaflet. Draws out the fundamental principles by which God guides us. 128pp. Clearly expounds such key biblical themes as grace, faith, repentance, new birth and assurance. 240pp. A Biblical Method for Enriching Your Prayer Life and Language by Shaping Your Words with Scripture,’ edited and revised by O. Palmer Robertson from Matthew Henry’s 1710 original. 440pp. Daily devotional readings from the writings of the Puritans, with Author, Topic and Scripture indexes. 432pp. 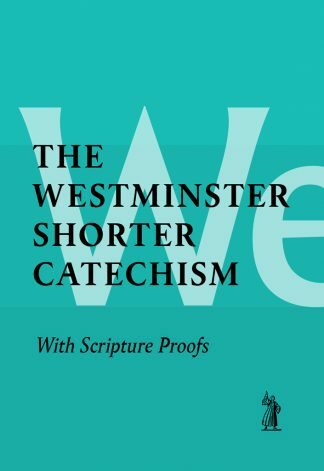 This work of the Westminster divines remains one of the best introductions to the key doctrines of the Christian faith. 48pp.